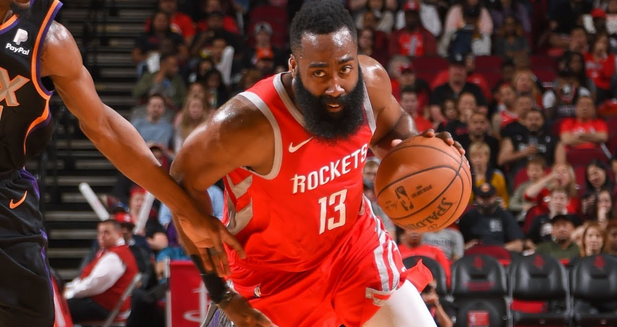 Fresh off a wild game against the Suns in which they put up 149 points and a new NBA-record 149 27 three-pointers (the number they missed against GS in g7 last year), the Rockets look to finish the regular season strong. Houston is still in contention for the #2 seed, and there is a chance they could meet OKC in the opening round of the playoffs. Houston should be going all in to try and get that #2 seed. OKC, on the other hand, is hoping for nothing but wins at this late juncture. They were able to defeat the TWolves in a tight game on ABC on Sunday. This is a group that has had very little help from the bench and has been very Russ and PG heavy. The Thunder were four games ahead of the Rockets when they met in February, but boy have things changed since that meeting. Rockets: Houston scores the 11th most points in the league, while also ranking in the same spot in points allowed. It took them a long time, but they were able to get the entire roster healthy by crunch time in the season. 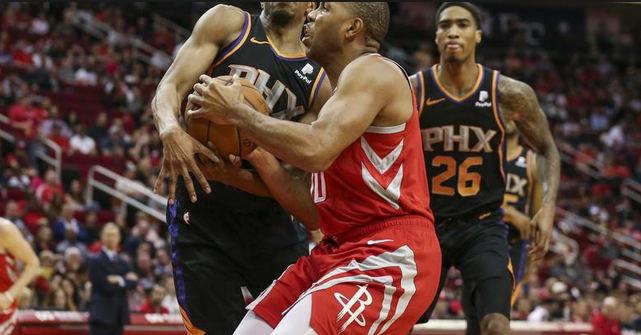 PJ Tucker is their lone player who has been able to appear in every game thus far on the year. Houston takes the most threes in the league and ranks #10 in percentage. They are also top-ten in FT%. When you have James Harden and CP3 taking a heavy chunk of the free throws, it is no surprise to see them rank there. Thunder: We could talk all about Russ’ triple-doubles and his 20-20-20 game. 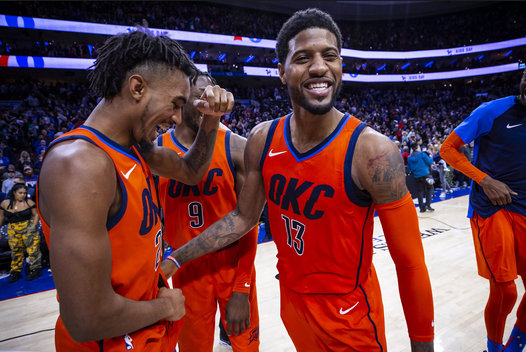 We could go into great detail about why Paul George is STILL a dark-horse (unlikely to win) MVP candidate with his career-highs across the board. But this is as much about what OKC lacks, as what they actually have. Dennis Schroder logs over 30 minutes off the bench each game, as the only reliable bench option on the team. Billy Donovan has little-to-no trust in Noel, Morris, Nader, or Felton. As a matter of fact, Abdel Nader was replaced by Felton in the rotation, a move that makes little-to-no sense. When these teams first met in November and Russ not playing, OKC won a defensive battle 98-80. Houston picked up the win on Christmas behind a 40-point effort from James Harden. And in the last battle between the teams, PG and Harden both topped the 40-point plateau, but PG’s 45-point night led the Thunder to a win. At the time, they were four games ahead of Houston in the standings. Be sure you bet OKC -1.5! The Thunder are hoping to secure the #6 seed to ensure they cannot fall to #8 and have a potential opening-round date with the Warriors. Talk about intimidating.